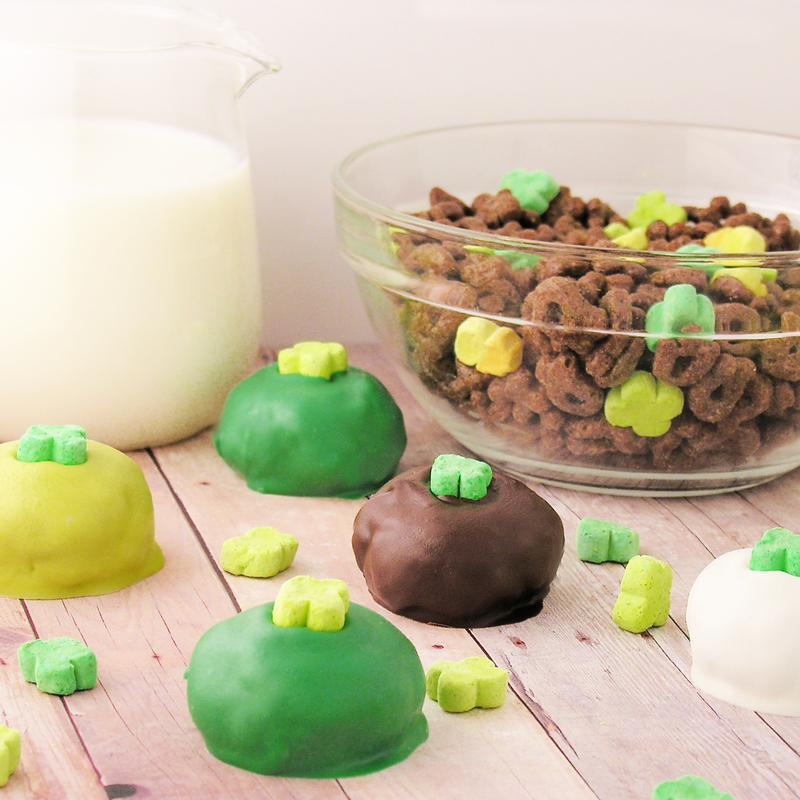 If you like Lucky Charms Cereal, you will love these chocolate-covered treats! I was walking down the cereal aisle and a box of Chocolate Lucky Charms jumped into my cart and begged me to make a dessert with it. That’s almost how it happened…! I love Lucky Charms and I adore the chocolate version. 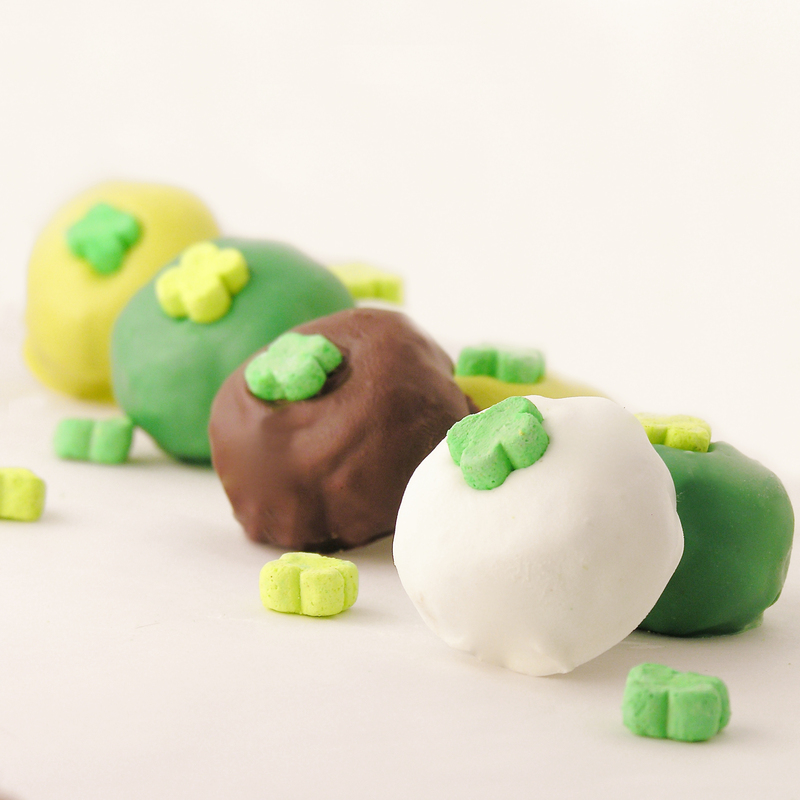 Did you know that just before St. Patrick’s Day they have a limited time version full of shamrocks and pots of gold. Too cute! 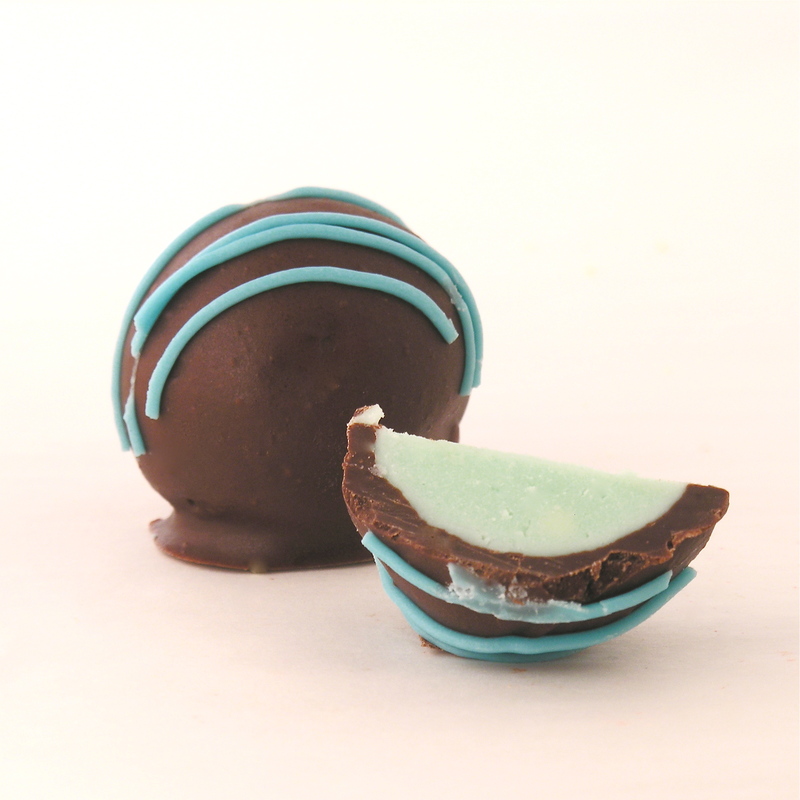 I had actually been wondering if the oft-used technique of Oreos + Cream Cheese, rolled into a ball and covered in chocolate would work with cereal. Perfect opportunity to try! 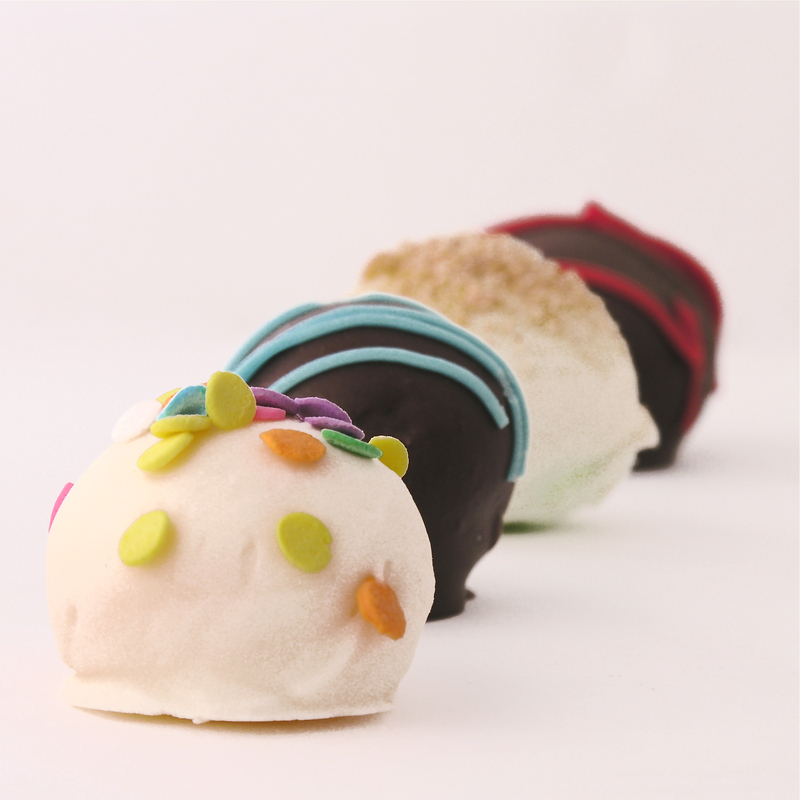 These are yummy little chocolate-y and marshmallow-y treats that are SO cute for the month of March! Finely crush cereal into crumbs (I used a food-chopper). Combine with cream cheese until it forms a soft ball of dough. 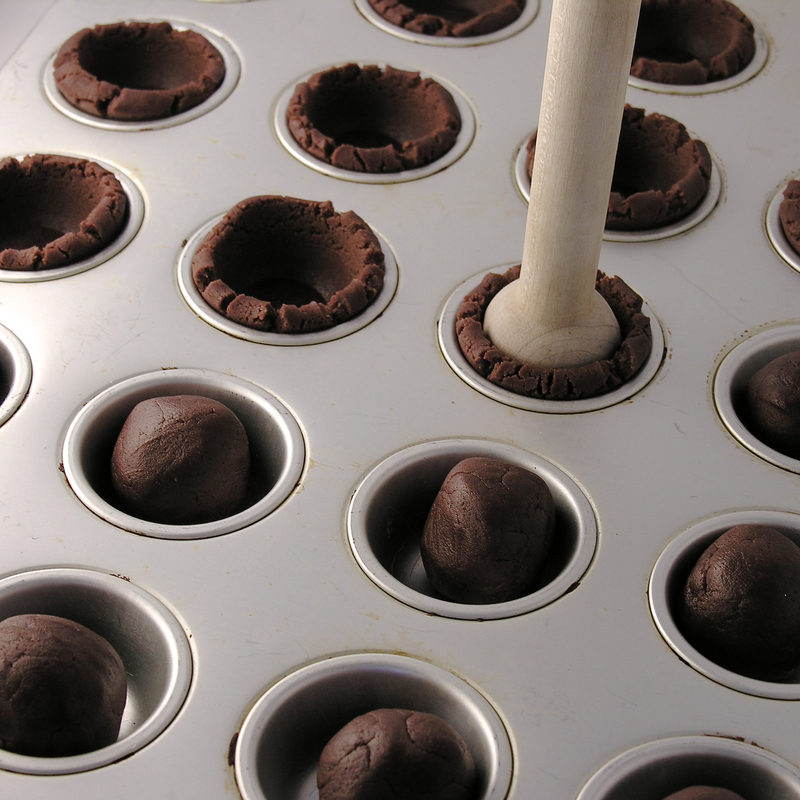 Roll dough into small balls. 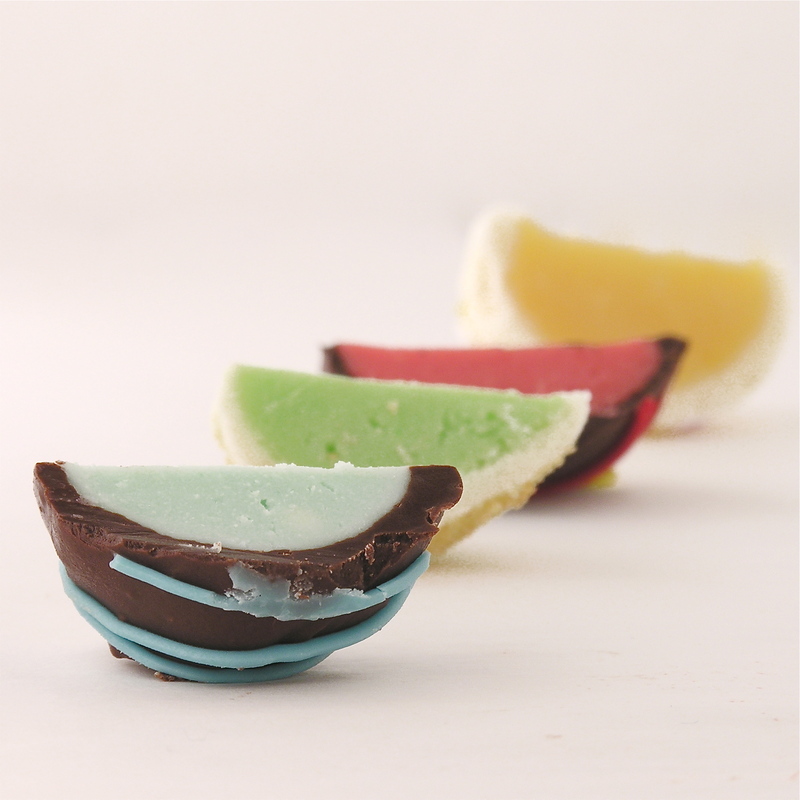 Melt candy melts in the microwave in 30 second increments, stirring between, until melted and smooth. Use a fork to dip balls of cereal into the melted candy. Tap the fork on the side of the bowl to drain off excess melted candy, and slide fork along edge of bowl to remove excess. 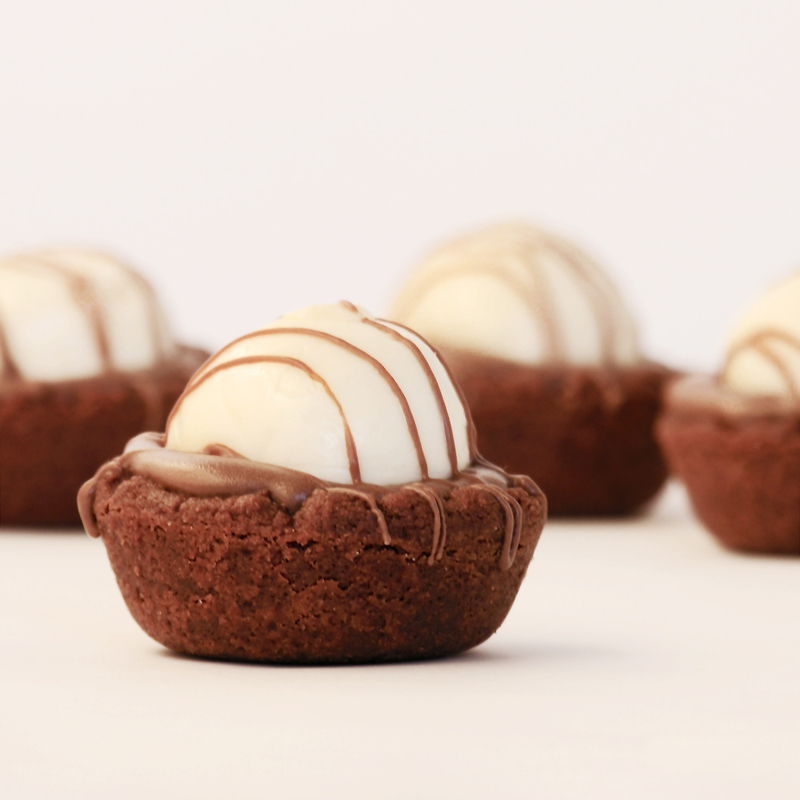 Place each truffle on parchment paper to harden. Top with marshmallow bits from the cereal, or sprinkles. Allow them to harden completely. 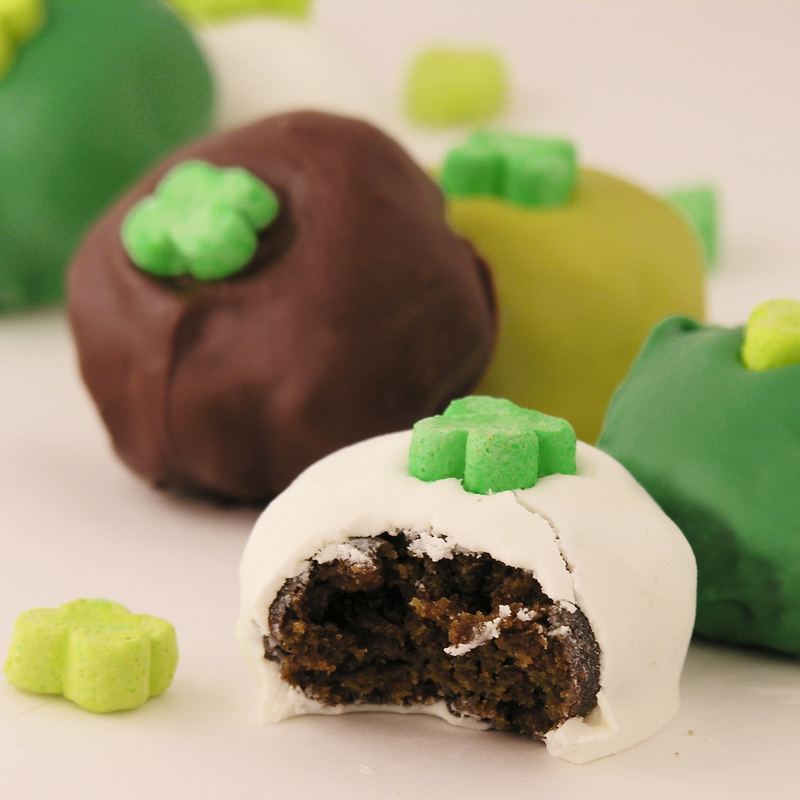 Posted in Candy, Cookies and tagged best, candy, chocolate, Cream Cheese, dessert, easy, fun, Lucky Charms, Lucky Charms Cereal, melted chocolate, party, philadelphia cream cheese, shamrocks, St. Patrick Day, truffles. Bookmark the permalink. 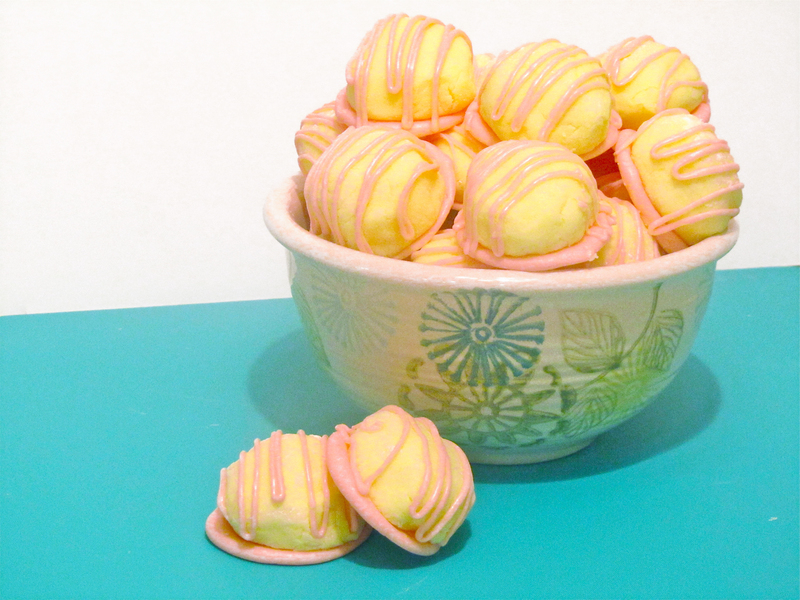 These soft and creamy lemonade truffles are accented with a sweet raspberry white chocolate. 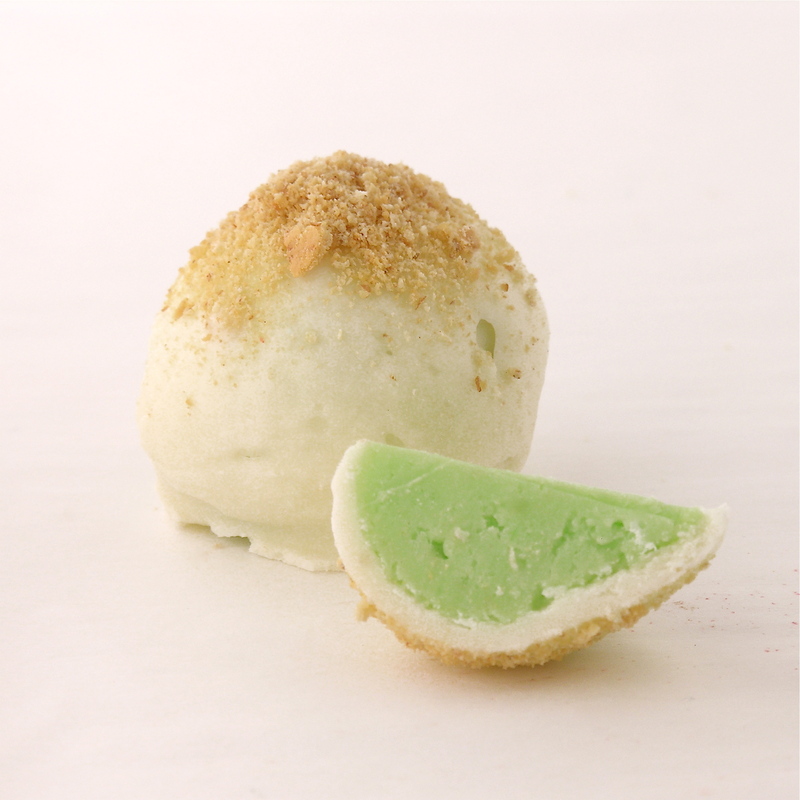 Truly a unique dessert that will have you thinking summer as soon as you taste one! Cream together Philadelphia cream cheese and packet of lemonade. Add yellow food coloring to desired shade of yellow. Add powdered sugar one cup at a time, blending well between each one. After 4th cup, coat your hands in powdered sugar and mix in 5th cup with your hands until well blended. 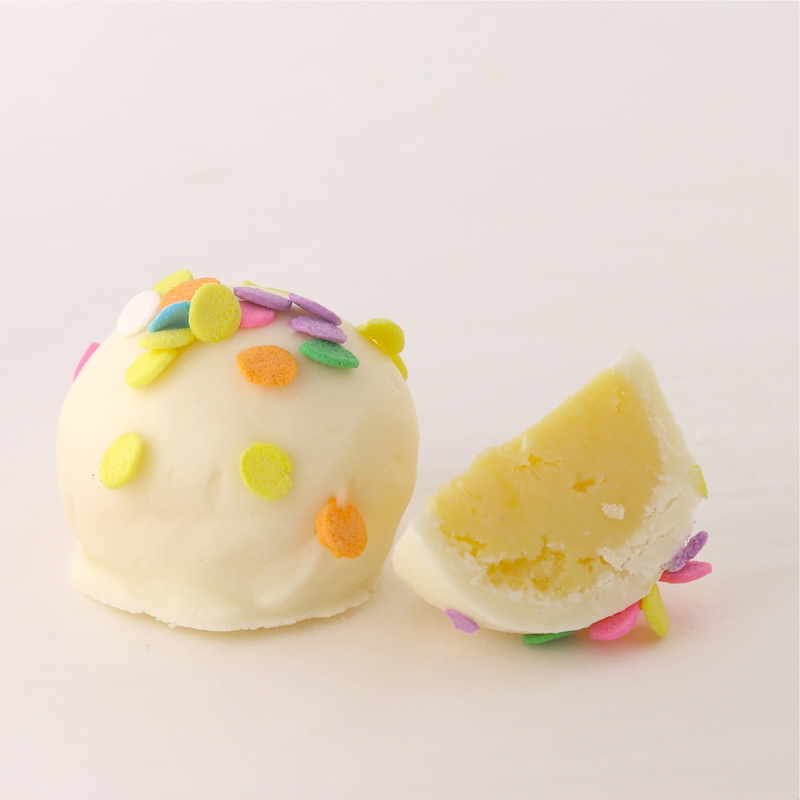 Using sugar-covered hands, roll dough into 1 inch truffle balls and set on parchment paper. 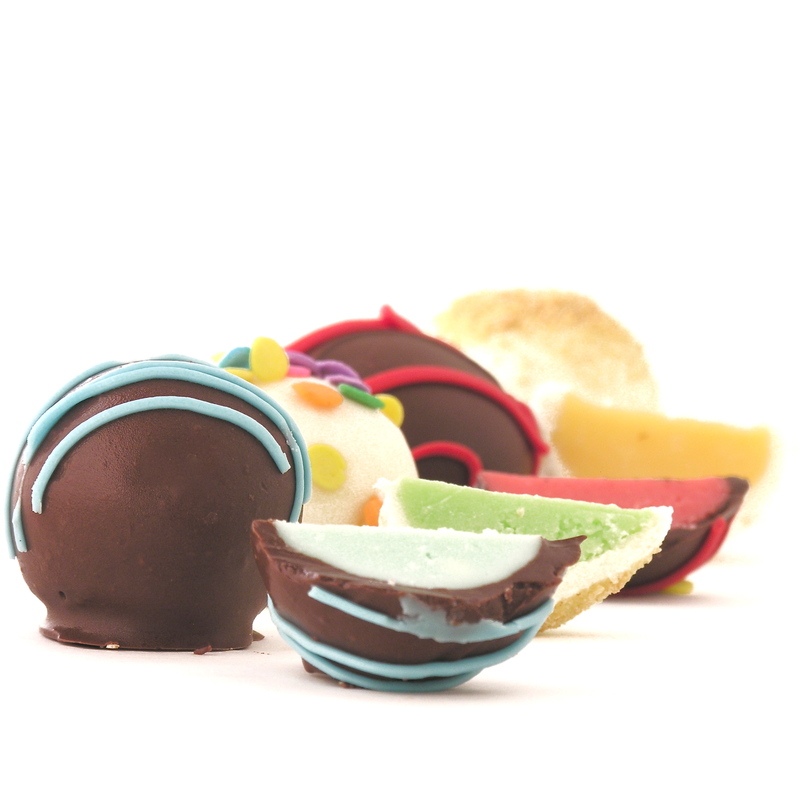 Melt candy coating chips in microwave in 30 second increments, stirring between until smooth. 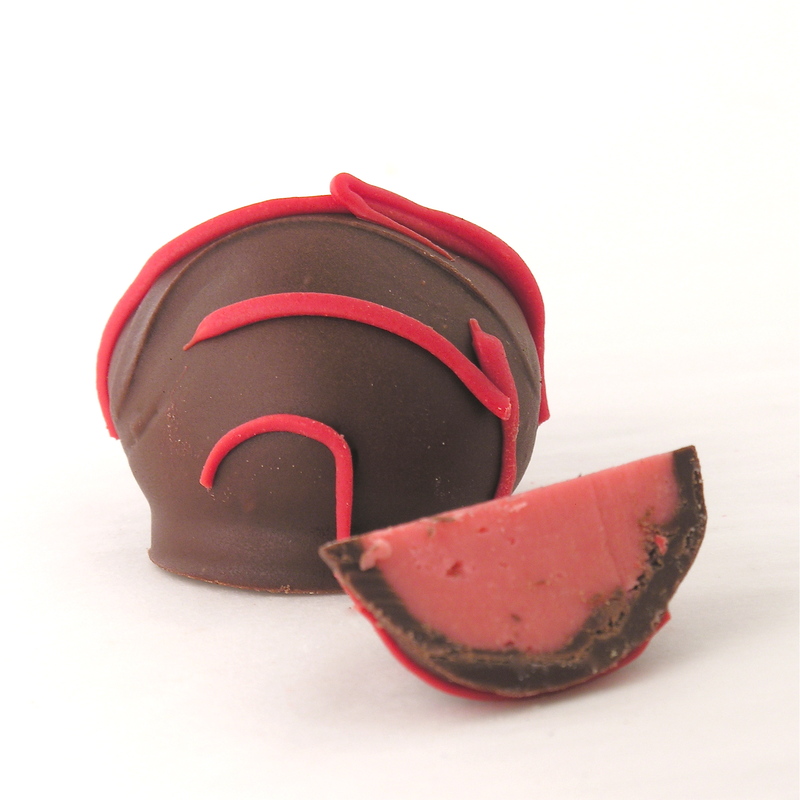 Add raspberry flavoring and red food coloring (to desired color) and mix well. Spoon about 1/2 – 1 tsp. 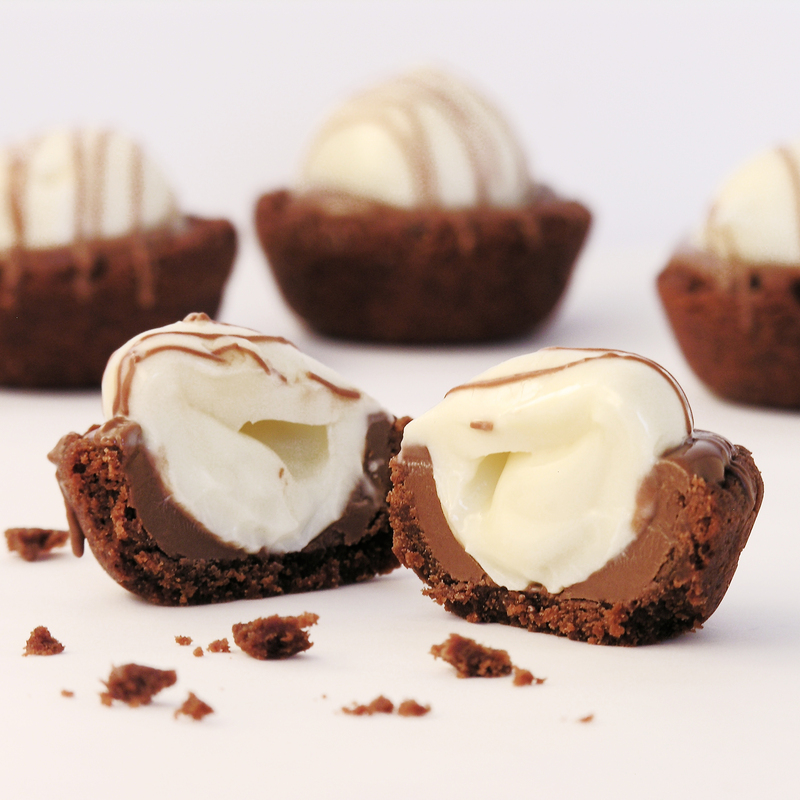 of chocolate onto parchment paper and then press a truffle on the top of it until the chocolate is visible around the edges. 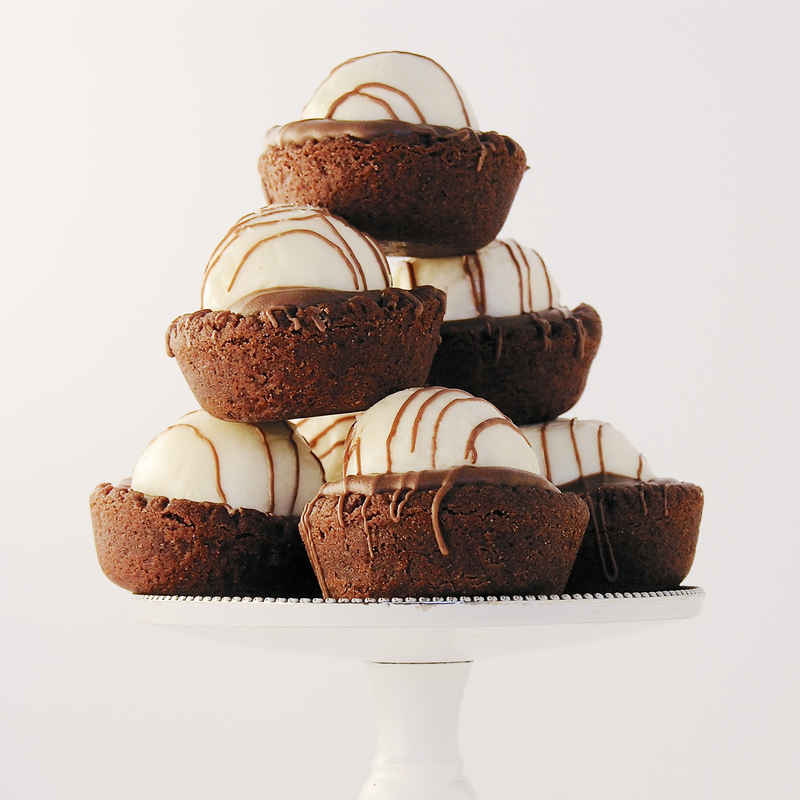 Finish the rest of the truffles this way. Spoon remaining chocolate into a ziplock bag and clip the corner. 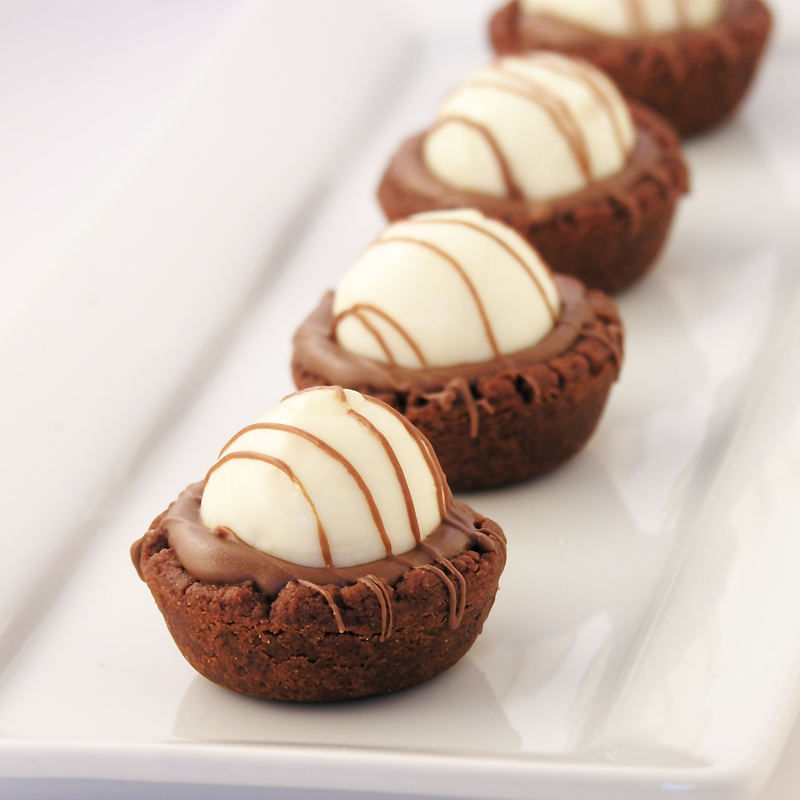 Drizzle the chocolate over the truffles. Peel off parchment paper and serve at room temperature or chilled. 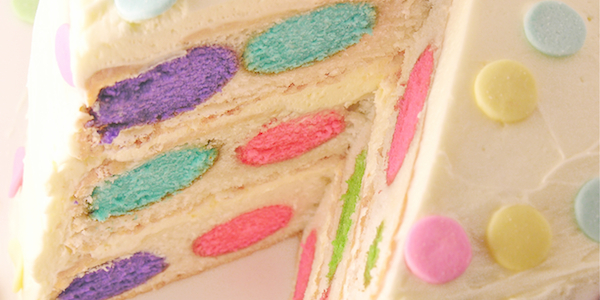 Posted in Candy and tagged candy, Cream Cheese, dessert, lemonade, raspberry, truffles, white chocolate. Bookmark the permalink.